This is an attempt to communicate better with friends around the world. For my whole flying life I have written a short summary of the day in the little remarks section of my Pilot’s Logbook. I really mean little. The space allotted is about 1/4 inch by 2 1/2 inches so I write very small. In fact, the writing reminds me of when my dad came back from a trip to Korea with a piece of rice with John 3:16 from the Bible written on it! I need to get out some serious glasses to read most of my logs now but the idea was to jump start my memory to a thing that would otherwise be lost forever in the ongoing flood of life events. I have heard it said that if you forget what has happened to you it is as if it never happened. That is a bit sobering to me. So…I will start by telling you a bit about myself. For the last 40+ years I have been a bush pilot in the Pacific, the United States and all over Africa, most of that flying for Mission Aviation Fellowship. I have some 14,000+ hours of flight time in little planes that get into short and rough airstrips of grass or dirt, cut out of jungle or bush, or the left over world war II strips of coral on narrow islands in the middle of miles of Pacific blue water. All of this with the companionship of my lovely wife Cher who has graced me with her presence and spread her beauty and easy laughter lavishly as we have traveled the world. I love God but I am no saint. I am at my happiest when I am in hot pursuit of him. Well, even better on the occasions when I actually catch up and spend time with him. Lots of time. I would guess that those three aspects of my life are what really define me. Family, flying and God. There is much more of course but you will have to stay tuned to see what those might be over time. Cher says that it is really a guy thing to be defined by what you do. She thinks life is about who you love. I guess that is a girl way of looking at things. I most probably think it is more somewhere in the middle. Who and how you love while you are doing what you do. Life without love is pretty meaningless. Africa is Awesome and I love it. Everyone says that it gets in your blood like so many of the killer diseases that are here. It is thoroughly in my blood. It has a way of taking hold of you whether you like it or not, whether it is good or not. It is not politically correct. It makes little attempt at correctness and does not apologize for it. Women are not equal. People are not equal. The harshest person leads. Animals are for food. Of course, these are generalizations. We from the west, especially those from the United States, assume people generally think like us when, in fact, almost nobody thinks like us. That is important to remember when living in Africa. You will just have to change the way you think about some things if you are to function here with minimal frustration. Not to say that one can live above frustration. That is a difficult one because, as we are not right about the way we think about everything, so Africa is not right about the way she thinks about everything. You see, I am already showing MY political incorrectness. Everybody is NOT right. There is no logic in that. To say, as seems to be popular and politically correct these days, that each of us can have our own reality in spite of the reality that is going on around all of us is, in my opinion and I am right on this, delusional. So, I live my days interacting with people who are quite different to me. I fly to unusual and interesting places and try to see how we all relate. I try to help people with my little airplane to get over some of the obstacles in their lives and spread a bit of joy around while I do it. I try to be as much like Christ as I can and give hope to people. 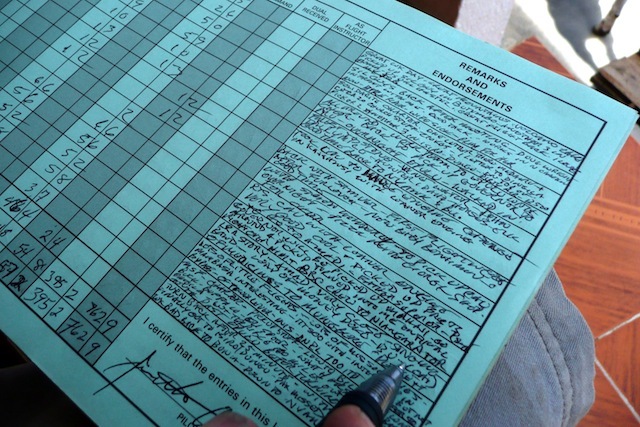 These log book entries are a window into that life. Hopefully you will find them interesting. I’m very thankful I found your blog, it’s a great insight and I genuinely love reading your posts’! • Did God reveal to you who to fly with or did you always know you wanted to fly for MAF? • How repetitive is being a bush pilot? • Do you get bored (routine)? • How many hours a week do you work? • Do you have time to spend with family or only on weekends/holidays? • What is the hardest part of your job? in addition to any tips you might have for a student pilot just starting her journey! God bless you and Cher, praying for your health and decision-making and God’s continued guidance! Hi Abbie, It is great that you are studying and seeking what God would like you to do. Whether it is- hard, boring, long hours, involves suffering, or time away from your family- if God calls you to something he will give you the strength to do it. But at this point in my life I would have to say that flying for MAF has been a great joy in every way. An endless variety of adventures too many to count. I have never been bored in spite of doing the same things a lot. You can make adventure out of normal things. Choose to meet people, get involved, stay real instead of virtual. Give injections at the kids clinic instead of sitting at the plane. Let the children teach you what fruits are edible in the bush instead of reading your book. Be interactive with everything instead of being on the internet. I love my job! I don’t know that God chooses everything for you, like the perfect organization. If it is perfect you will ruin it. There are no perfect ones. Hopefully you join one the doesn’t ask you to destroy your family with over-work. That is counter productive. I could say your family comes before your job, but life isn’t that simple. When you are flying you need to be there 100% and not thinking about what’s going on at home. But when you get home, you need to be there and not bringing your work home. Family is so important and you won’t last if you ignore them. Hardest part of my job is dealing with corrupt officials. Hate that, but I have to deal with it anyway. It is not all lovely. Ah, but it is a good life. Hello, I came across your blog and first off, its amazing what you do. I am an airline pilot in Canada who never wanted to be an airline pilot. In the back of my mind I always thought about finding an organization to fly for to aid in conservation. So, just curious if you get a chance and know of any reptuable organizations to look into in Africa, if you could pass them along. Thank you, and safe flying! I am trying to figure out how one can get their pilots license in Africa, specifically Kenya. I am trying to help an orphan there that would like to become a pilot. I live in the U.S. and obviously have no idea where to start. Can a pilot in Kenya make decent money? Because I heard the wages for most people there is just enough to feed their families. I want this orphan to be able to make a somewhat decent living off being a pilot. Could I get any insight to this? Good Day Harp, did you manage to get this sorted? If not you can email me on chrismmutuku@gmail.com and I’d be able to assist. I’m a pilot based in Nairobi, Kenya. How are you guys doing? Still in the Congo or have moved to new exciting new destination in Africa. Really enjoyed reading your introduction and thoughts on life. Agree about your thoughts of living in Africa and I think it can apply also for where my wife and myself are living now. We are living in Jeddah,Saudi Arabia ( 1h:15min away from Jeddah) working and living at KAUST. We are both teaching me in the kindergarden school. Just started my degree in education. Unfortunately not much flying down. So not able to keep up my ppl. Let’s catch up. Sometimes we start the life being something else. Nice guys finish last, we are only humans so not a perfect being. Its not we are but what we do that defines us . I am not a believer in any religion but i respect all those that belive it. And i respect very much what you do there in africa ,by the way the rest of the world is only interested in the egocentric well being they dont have a clue. Keep up the good flying work there in Africa. Only the brave still fly there. I was searching in the internet and stumbled on your article ,which i must say is very impressive. Flying to help people has just a whole meaning than just making money. Money can help but just dont fulfill our soul. Helping others is the real reward and today in airline business the pilots became too much in the status way.I have airline colleagues that are always competing for a better porsche or mercedes. I think the old school pilots are in extinction that fly for passion , i might say for me is the only way to fly. And Jon you are one of those old scholers that sees the romantic part of flying. Today people forget the thounsands of young american pilots that gave their lives in ww2 to free Europe and they done it because they believed they could turn the things around and because it were their duty. I think you have the same kind of thought helping others in africa. Just to say what you are doing is a very noble thing . Hi Jon, greetings from Uganda. I note that you have a number of expressions of interest here from ambitious young pilots interested in working in Africa. We might have openings soon for flight instructors here in Uganda, please feel free to invite any of these commenters here to contact me. http://www.flyuganda.com http://www.keaviation.com BTW what options do you have for internet in Congo? VSAT? Who is your service provider? Hello Jon! my name is Karina Barraza, i’m a 21 years old Chilean girl. I’m a private pilot and im looking for a job as a volunteer, I dont have that many hours but im a really responsible person with lots of energy to help. I speak fluent spanish, english and i’m learning french. My life dream has always been to help people while in travel and learn about new cultures. I was wondering if you were looking for pilots to help or if you know of anyone that is? Thank you so much and ill be waiting for your reply. Greetings, I am a Ecuadorean commercial pilot and VFR/IFR flight instructor , I have 6000 total hours and 700 of instructor , flight Cessna 150/172/172RG/182/206/206SOLOY/207/210, my life pilot ‘ve had in the jungle of my country , on short runways and unprepared , know you about job openings over there , I would like to apply if any, from and I appreciate your information . Hey Marcelo, Nice to meet another bush pilot. We have MAF in Ecuador also, so maybe you know some of our guys there. They have a base at Shell as well as in the capital. Maybe you know them. They might be able to tell you about what our requirements are. I was just with Fernando at an instructor pilot seminar at our headquarters. His is a great guy. Thanks for your answer, just as a pleasure, I know Fernando Pastor, is my friend, he was my instructor many years ago when I started my career, anyway if you know of any place of work there, I would appreciate me you do to know. Do you know if employers in, lets say, Maun, Botswana or any bush employer require you to have a multi engine certification to become a “bush pilot”? missed approaches are a safety measure in Papua. Oh,Jon I couldn’t forget DRC would love to take off and land in Kigoma airport( I hope that’s right) though not for so long the death of my friend whose aircraft was shot while on approach in Juba reminds me of the insecurity in these regions…but anyway who cares isn’t this the lifestyle we choose as pilots! With great admiration to what you do. PS: with this inspiration for once typing never got tiresome, I bet i have been typing and hitting the backspace key on my laptop and retyping again and again …all this I owe to your story for it strengthens my aviation dreams. God bless. I absolutely love your blog. I am a commercial pilot/CFI teaching students in Colorado, and what you’ve already done is exactly what I want to do and why I got into aviation! Do you have any advice for someone like me who is just starting to look into bush flying and would like to embark on this adventure as soon as possible? I was in Senegal Africa once before and absolutely loved it and have always wanted to go back to Africa. My name is Kip and I hope somebody would help me. I have a project for school about a future career we are interested in. I chose a bush pilot. One of the requirements for the project is to contact someone with the job we are interested in and have them answer some questions. I would be grateful if someone would answer my questions. -What exactly is your job title? -What is your job description? -How much money do you make a year on average? -Are there many jobs available? -What education and or training is needed? -How many hours of flight time do you need to a bush pilot? -What is the most interesting thing you’ve experienced while flying? -What kind of customers to you have? -Where do you spend your time when you’re not flying. -How fun is this job? I answered this but my internet went out and I lost it so here goes again. Hope it isn’t too late for your school project. -I am the program manager for MAF in East DRC right now. Acting Chief Pilot. but really just do everything I need to do whatever that is. -Everything from making budgets to baggage handling. But my favorite part is the flying. -We are not in this for the money, we raise it ourselves by talking to friends and in churches to support the work. -There is much to do but not many people that will put the time and effort in for the money they get out. It is a heart thing. -Just talking with our newest pilot who just did his first solo flight here. he said after 9 years of study and work….He finally did his first flight. (We all doused him with buckets of water. )Minimum commercial-instrument pilot ratings and MAF likes you to have an A&P mechanics license, some Bible school, experience, it takes a while. -IF you go to a mission bush flying school it is 500 hrs. Most have more, I had 3000 hours when I came with MAF. -I have been in killer storms, been charged by elephants while taking off, shot at with a passenger being hit, almost run out of fuel over the ocean not knowing where I was just to name a few. but we like the flights to be normal and uneventful as much as we can. We are in to safety. -Because of the nature of our operation, we help isolated people who are generally poor, sick or injured, or the people who are helping them, and church workers. We get to help others along the way and I have flown everything from national parks doing game counts to flying food into refugee camps to save lives. -i live in a little village with a grass airstrip and a mission hospital. It is beautiful and we are very blessed. -I have the best job in the world. (for me) I was created for this job. I get great joy and satisfaction from it. I have a great Boss and I love working for the Lord. Just found your blog 2 days ago and well… What a life. Wisdom cannot be measured in grams nor can it be seen by the people who don’t wanna see it..
You seem to have so much of it there. Thanks for sharing your life.its truly a great read except for all the spelling mustakes haha just kidding. Hi, John! I’m Indonesian who just got FAA CPL. Right now, Its pretty hard to get a pilot job in Indonesia. I found your website and I’m pretty interesting with your life, you can do your “hobby” and ministry together by become bush pilot. To be honest, I dont know anything about become bush pilot in Africa. Can you help me give me some company where I can apply for the job? I have 265 hours, 220 in airplanes SEL, PIC time 140 hours. I had no idea you were getting this sort of response from bush pilot enthusiasts. Completely understand if we never hook up….you’re a busy man. I was at the Kajjansi Airfield today (the MAF side) and of course your name came up. So, here I am reading through your blog. 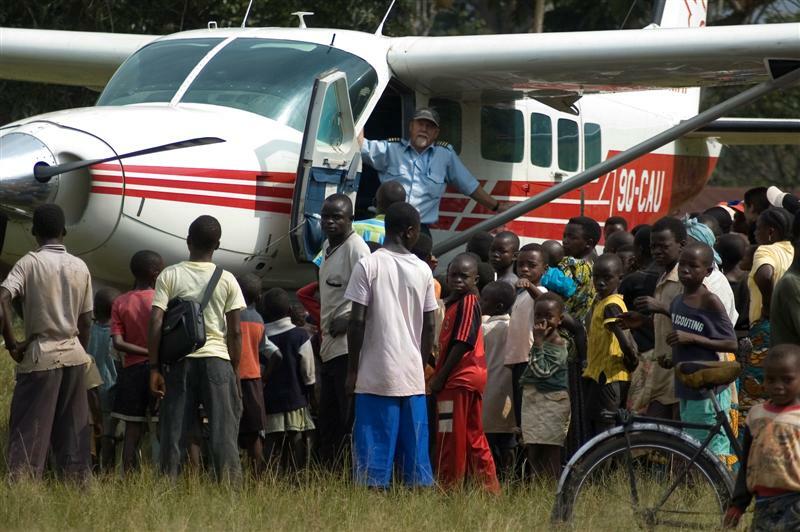 I’ve applied for my Ugandan conversion and am currently looking for a small plane for purchase. God is good – so I am excited to see what He has in store. I pray you and your wife are well. Hope to see you in the sky! Hi Jon, Hope you are well! Its nice to read this stuff and how you see flying so close to everything you do in life. I share a similar passion for aviation. I started training to be a pilot when i just turned 18 and got my FAA CPL from Arizona. I came to India after and converted my FAA license here. Now i have a ICAO approved license. Will i be eligible to fly in Africa with this license being a Indian passport holder? When is the best time to fly down to Botswana and such countries to look for a bush pilots opening? Jon im suprised you replied to everyones post but mine.. ??? Hi jon, this is the first of your blogs that I’ve read. Im 17 and living in the UK and would realy like to do what you do. I originally wanted to go straight into commercial flying, but realised I might not find it exciting enough and I would was a change each day. Only problem.is, I have no idea how to become a bush pilot. I believe I could quite easily get my PPL by the time im 19/20, but is there much chance of getting a job like yours once I have it? Also is a PPL all I need or would I jave to get a CPL to be a bush pilot. Dear John, my name is Gianluca, I am an Italian ultralight pilot and my golden dream is to make my passion a job. Unfortunately because of a heart operation I had 20 years ago I cannot get a second or first class medical to get a PPL or CPL licence, do you know if there is any chance in Africa to work with ultralight planes? Thanks a lot and my best congratulations for your job/mission! Hi Gianluca, I know it can be upsetting to have blocks to your dreams. But don’t give up. There are always ways to your dreams. I know there is a lot of untralight flying around the Victoria Falls in Zimbabwe. There may be some possibilities there. I will keep my ears open for other things. I hear of lost of parks that are trying to use ultralights as spotters for poachers. Garamba in Congo has one. But they are often these little ultralights. they may need a man with experience. Anyway, I wish you the best for your dreams. Hi gianluca, i am italian, just like you, very passionate about aviation and i was lucky enough to be able to turn my passion in my profession. If u want to talk about aviation drop me an email to my adress – barrichelloair@hotmail.com. As far as John is concerned, my hat goes off to people like you who devoted their lives to helping others and bringing a spark of hope where hope and FAITH sometimes is the only thing they can afford to cling onto! Hi Jon. Last time I left a comment when I had just started training to be a pilot. Now I am on my way to becoming a flight instructor. Hope things are well with you. God bless you. I hope you are enjoying your flying and teaching the joy of it along with the professionalism. It is a great job and a beautiful day at the office. Fantastic blog I must say. I am a graduate in Bachelors of Science in Aviation, holding a CPL of USA, Canada and India. I have a Multi Engine Endorsement with Instrument Rating. Also i am type rated on the Boeing 737. Due to the current job scenario in Asia, i’m finding it tough to find a job as a pilot here. Moreover General Aviation is not as developed. All my medicals are up to date and declared FIT to fly. I also have a radio Telephony Licence. If I fly down to South Africa/Botswana/Tanzania/Namibia personally and I complete a bush pilot course, what are the odds that I land up with a job there for a couple of years. I am 22 and my aim is build as many hours as possible. Your guidance is much appreciated captain. I am really enjoying your Blog, you have such an incredible talent to be able to write so well! I was looking at pictures of Fothergill Island to explain the place to a colleague – saw the picture of you and your family and was immediately transported back to my visits there in the late 1980’s – when you kindly allowed me to fly with you on a couple of the trips to “fix” things on the island,generators,boates and once the alternator on your plane! I hold my memories of the time dearly as it yo guys made a great impressin on a young man – trying to find his place in life! Hey Chris, Good memories. Thanks for writing in. It was a pleasure to have your help. Hope life continues to give you great memories. How are you these days? thanks for the updates, I met and married Sarah in 1995 and we were married two years later, we had some fantastic adventures in Namibia and around Zim, We actually got engaged on the Namibian coast on one of our first trips with a group of friends.We sadly have left Zim and moved to Cape Town but have been blessed with two beautiful daughters (16 and 14) whom also , thankfully, have also come to love God. We are part of JoshGen Church and we are regularly inspired by the passion to serve God with everything they have . I have never forgotten the adventures that I experienced in Kariba and Zim and I must admit that I often wonder if the people that I have told the stories to are politely thinking “liar” as some seem so improbable. But that is the way of life in the bush and not the city.Thank you again for keeping us up to date with your adventures and I am often amazed at you skill in telling them so well! many Blessings and if you ever find yourselves in the Cape Town area , we would love to have you come and stay a while.Love in HIM Chris, Sarah, Kirsten & Michelle Lewis. Truly inspirational, you remind me of the Grzimek’s in a way. My name is Milenko Maslarić. I currently live and works in Serbia as a flight instructor. I have over 1600 hours of flying on a plane with fixed wings. My dream is to come and meet Africa and honestly you inspired me when I read your blog, to start the realization of my dream. I tried on the internet to find any contact for a job in Africa, but without success (I received no response). I would be very grateful if you could give me some advice or contact. Hello Jon! Truly an inspiring autobiography. I am also thinking of pursuing an aviation career in the future and I would like to know, from your experience, what qualifications are needed for me to achieve my goal? I made my carrier in Mexico I’m 23years old and I’m safety pilot for a Mexican aviation school. I want to know if I’m a candidate to be a bush pilot in Africa.? And how can I do it? I really want to find a job there. Thanks …. Hello my name is Jonathan Wales and I just finished my CPL/Multi/IFR training in Canada. It has been my dream to fly in Africa for many years now. I have worked and travelled in East Africa before (non aviation related) and absolutely loved it. I am trying to decide between Botswana or Namibia to get my start. I have 201.7 hours and I’m hoping this is enough to get started. I shall be coming beginning of December 2013 or mid January 2014. I need to decide on exactly when and where. My girlfriend will be joining me eventually as well. I have done a fair amount of research on the subject but I was hoping to hear any words of advice from you being someone I hold a lot of respect for. By the way your post about getting the best hearing protection early on inspired me to do the trade up program at Lightspeed and get the Zulu 2. How are they for you? I think that there are opportunities in the tourist industry in Botswana and Namibia. I have been up in Congo for the last few years so can’t give you contacts but I am sure you can find many on the internet. you may have to be right seat in a Caravan or something for a while as your still building time. That is a big obstacle now. Hope you find what you are looking for. Africa is great. Well thank you very much I appreciate the encouragement and am looking forward to the next chapter of my life in Africa. I find the idea of flying in Congo extraordinarily interesting. What sort of opportunities are there in Congo for aviation? Is it a 1000+ hour requirement? I don’t just see Africa as a means to gain hours I fell in love with Africa a long time ago and hope to stay for a long time. Thank you again for your response. I really agree with Jon, but that is what i looking for! something great and dangerous and hard and amazing and unexpected and wonderful and annoying and fascinating!!! Hope all’s well with you and the summer season is treating you well. Came across your blog whilst searching for bush flying opportunities in Africa. I am currently undergoing CPL/ IR training (single engine) in Pakistan (it will take some time before the requirements are met fully). Like most of the people who have posted here, I too intend to head straight into Africa to fly, if I do get a chance to do so. I’m new to the bush flying business. However, I do want to fly as a bush pilot. Could you advise me as to where to start in terms of gaining employment? P.S. Your Cessna caravan looks mighty grand indeed. I am a Canadian looking into a career such as this for a living, what is the ideal career path you suggest? I am currently a jr. In college working towards a aeronautical science degree. I am a winderness emt, commercially/ifr/multi rated and will be Cfi/cfii rated by the end of summer; i will have aproximatly 250 hours after graduation. What are my chances of finding a job flying in eastern Africa? I would prefer a bush flying job at first. Should i stay in the states to instruct for a year or two and build more hours before trying to find a job in Africa?I was thinking about picking up my AMP as well, will that significantly improve my chances of a job? Any and all information is greatly appreciated. Hello Jon, I was looking information about been a bush pilot on Africa and i get in your site. I would like to know if you know any cuban or argentinian pilot working on that area. I just want to be sure what kind of documents i should bring with me and if they need translation. Thanks! Hi Jon, its me again. I had been strugglin in Namibia for the last 7 months without a job. Im waiting now for a chance in angola but not really sure if that will happen. So my question here is, do you have any contact around there, maybe angola, kenya, tanzania, botswana or mozambique to call or email them? I can give you my email if you wish to contact me. Thanks for your reply!! Great news! It is wonderful to fly the bush of Africa. I have never been bored in all my years of bush flying and the cockpit is the best office ever. Tell me more about your time here in Congo. I wish you a great and safe career as you fly. Can u please suggest me where to start from . Aiming towards airline after 5 years . I’ve read some of your blogs about flying in Africa. Currently I’m in my flight training, just about to start with my IFR phase. And as almost everyone knows, the aviation industry isn’t the best right now concerning jobs. Because I want to fly as soon as possible when I’m finished, I’m already looking into the options I have. Flying for a large airline as a beginner is almost impossible right know, so you have to start on the small planes. Somehow it always had my attention to fly as a bush pilot. The freedom you have, the fact that you go to places not many people get to see, the fact that not everything is done with an autopilot and computers, but it is real basic flying. Do you have ant tips or suggestions for me for flying in Africa? Is it possible to get a job there when you’re fresh out of training, hour requirements? I found this blog looking for pictures of the Evangel aircraft. My ambition, as a pilot, is to fly a large (even a Beech 18 would suffice) tail-wheel multi-engine aircraft one day. They’re getting rare, but there’s still a chance. I’m in Arizona. I came to the U.S. (from Italy) to get a commercial pilot license, many years ago. Then life took a different turn, and now I’m doing something else (language translations and some flight instruction). My strong point as a pilot (relatively speaking) is that I’ve got a few hundred hours on tail-wheel planes (I did some ag-flying too); by the way, I liked the story about the 185 with the landing gear mounted backwards! I might translated into Italian and put it on my blog, if you don’t mind. In any case, I haven’t given up yet on getting on a multi-engine tail-dragger one day. That Beech 18 you flew must have been fantastic. The largest tail-dragger I flew was an Air Tractor 301. Before I get too old I might buy a 170 and head South, we’ll see. Try not to get shot too much. Hey Emi Thank for writing in. I will be interested to hear about your plans. Africa is great but your family had better be behind you or it will never work. It is not always the easiest life but it is hard to beat for interesting. Jon thanks for your reply and your heartiness, I send you my email with the required info in the reply, so if its not an inconvenience to you I would like to ask you some personal questions about my idea to live in Africa with my family. I am about to move to Kenya for a year. Reading about your life and the things you have been doing has gotten me even more excited about my future. Thanks for the insight, and good luck with your flying! Maybe I’ll see you around in Africa! Kenya is great. You will love it. what are you going to be doing? We get over there a bit as my son lives there. Let me know how things go. May the Lord uphold yall as you make His word known to all and hasion to people you reach. I’m chairman of MAF Denmark. My wife Kamma and I was together with your sister LuAnne in Arnhemland and East Timor in February. Nice trip – and a very sweet and clever sister you have :-). I found this blog – and should like to be in connection with you about some small articles in our magazina “Flight Mission”. mission. He actually helped to fix up the Ngilima airstrip and clean up the approaches and it would have been good if we could have used it this day to help the injured man. We were both disappointed. Are this Sven Nielsen a dane (from Denmark)? Cinnamon buns copious quantities of tanganda tea biltong in the pocket and an unending sense of humour – dry English humour modified for Africa. Very sad that you did not check in on my ground zero for some fun. Still flying the safari world flat – look forward to some ketchup one day. Your forgotten elbow attachment in the deep dark areas of never never and no front teeth. Hope to have an update on your Evangel soon. Love your blog; my son Joel showed it to me; we sure miss those good old days on Fothergill with you and the family; We still live next to the old MAF base here in Redlands, was so sorry when they left. Greetings from Juba, Sudan, my follow-up posting after Air Serv sadly ended the Dungu program where I was the pilot of N8HZ. During my stay in the DRC, Jon was very helpful, especially as I was getting my bearings flying in a new part of Africa. I also very much enjoyed our visits as we crossed paths in Dungu and Bunia or talked via radio while flying; and especially an evening spent at the Cadd’s Bunia house, eating nachos, drinkings, marveling at the stars and listening to wonderful stories of Africa. Thanks! Hey Dave, it was great to have you over. Hope you are enjoying sunny Juba on the river. You will have to take up tiger fishing there. Or at least Nile perch. I just got a nice BIG elephant hunting spear in Dungu today. the tip is about 3 feet long! thanks for writing. Thanks for the blog! Our daughter is leaving the US today on her way to Kipaka to visit the Vintons for a few weeks. The Vintons told us she would be flying into Kipaka on a MAF plane, so it was quite interesting to read and understand a bit more about the great work that you do. I hope you and our daughter will have an opportunity to meet while she is there. Just found your blog… and have been enjoying it for the past hour! Kelsey and I think of you guys often… Were ya’ll able to take the crazy monkey on the move to Congo? Great to hear from you. Thanks for the comment. The crazy monkey did not make the trip. Just the crazy dog. We now have a pygmy hunting dog as well. Love to hear what you are doing now. I love hearing from you my friend! Yes, honey Badgers are in the top of my list on tough animals. And I can’t believe I said there was no “sound proof” of them working together with Honey Guides. Although I have never sat and watched it I have African friends who have. Maybe not the most scientific of people but some of the best eyes on the continent. Do you remember that when we were out in the bush really wanting some food and following the honey guides he actually took us to 3 different places? They have a nice voice but when they are guiding it turns into a repetitive harsher chatter that is very distinct if you know what you are listening for. You know something is different and the bird is trying to get your attention. At that time, when he was trying to get our attention we turned toward him as he sat up in the tree calling and as we came toward him he flew off but kept calling. If we got behind he came back. The first tree he took us to was about 40 meters up a tree and after discussing if anyone wanted to climb in our weakened state we turned and walked away. The bird came down on us and took off in another direction so we followed him to the river where the bees were flying into a crack in some big rocks. We dug around there for a while before Piet thought is was a waste of time and we all left. Then the honey guide thought, “These guys are a bunch of losers. I will have to take them to my easiest hive.” And we followed again to a log on the ground. Do you remember this? We made a fire by rubbing sticks together and lots of leaves for lots of smoke and we chopped into the log as the bees eat up all their fuel? We didn’t get much but it was nice. Then the legend is that you have to share a bit of the honey comb with the guide. They don’t like the honey only. It is the wax that they really like. If you don’t share then the next time they will lead you to a buffalo or rhino which will then gore you and that will be a lesson to you. I love that following part and the way they know ALL the hives in their area. I have followed them often. Sometimes if you are in an area where they have not worked with humans they don’t even bother but if they have worked well before they really to it. I think that may be why we were taken first to the places that were impossible for a honey badger. We are usually more ingenious and might just find a way. But then again they really do want some honeycomb and will continue to work with us if we give up. As far as toughness, I have had some personal experience. When I was flying down to Chikwenya every day from Fothergill Island and Kariba, the camp had regular visitors of honey badger couple every night. They used to dig in the drain for grease and other rubbish by the kitchen hut and we could be only feet away because they were so focused and unafraid. We called them Dez and Myra after the maintenance man/plumber for the camps since they were always in the drains. One night a lion caught Dez under the exposed roots of a tree by the Sapi river. The honey badger was able to stay almost out of reach as the lion tried to claw the badger out. The lion would catch his very loose skin and drag him a bit as the badger fought for his life. We could see that the lions paw was a mangled mess and the fight went on for hours before Dez was finally killed and eaten. We were sad to see Dez go but I was amazed to see how long he lasted with this apex predator. Just to give you an idea of attitude, I was once out at night on a game drive when we came upon two honey badgers. I didn’t know they were out late but they were on this occasion. I stopped the Landrover and got out with my torch to visit them. There was a big termite mound by the vehicle and I followed them around the back side out of sight of the others in the vehicle. As I got around back and up close one of the honey badgers turned on me with the most amazing growl and ran me back to the Landrover at a very rapid pace. He was not putting up with any nonsense from me! Often, they are just SO confident in their ability to defend themselves that they will be very close to you and be unbothered. But you better be on your guard because if they are not happy you will not come out without some very large wounds. I have seen them eat snakes and are unbothered by bites. They don’t go for the neck but just the center of the body, which gives the snake lots of maneuvering room. I love honey badgers. They are full of personality. Once in a while i do glance in the website of MAF trying to find a glimps of you guys.So far the only way i can hear about you is thru Josh emails. Your looking good John and still going strong for the Lord. You can have 12.000 hours but once you flown with an Apache Longbow…those hours are small hahahah.Had the privilege of meeting some good friends down in Afghanistan. I stil remember those days in Bulawayo…your warm family.Yes i still considered you guys as my second family. This is an wonderful opportunity to stay in touch with you and getting informed about your daily life.Have you ever considered of writing an book? You should. If you like we can stay in touch ..
How wonderful to hear from you? It has been a long time. I heard about the Apache Longbow. That is great! I would love to hear all the stories some time. It is so good to be in contact again. You will have to tell me everything that has happened since we last saw you. Thanks so much for writing. Have just found the site and love the pics and material. It seems like forever since we last connected and this is so cool. We miss you guys but pray that you are thriving and doing well. How great to hear from you. What good memories we have of you from our first days in Zimbabwe and getting to know the cultures and singing together to listening to gunshots in your house in Texas, church, weddings and Bulawayo volleyball with you. All the memories are good. Wish we were making more. Love the blog and all of the different pages you’ve included… and the pictures, too. Looking forward to following more of your adventures there. Blessings from the home office. You remember that old elephant bull that we called Magara with a hole near the end of his trunk and the large tusks? He was collared about six months ago. Kariba Lake is so full now that there is no foreshore to graze on and so the old patriarch wandered out of the wildlife zone and was plugged by a hunter. There was a lot of nause about it, but being from a hunting past and having seen the video of the hunt, he was standing in long grass and facing the hunters head on so you could not see the collar. As you know, there is no law about shooting a collared animal, but most hunters don’t shoot them out of respect. But sometimes mistakes happen. I feel sorry for both the elephant and the hunter as he has had worldwide bad publicity, mostly false. Every once in a while I see a red 206 fly over and I wonder if its you trying to figure out what the Bernelli effect is. I have educated many people in this principle at your expense Jon and put a smile on many peoples faces. We miss you too much. Buzz me and land anytime. I have learned some tricks in the pursuit of getting to know God that I would like to pass on to you……………..
Hey John & Cher, nice blog. Thanks Irene. We miss you when we are over in Uganda for maintenance. Hope school goes great and you return as soon as you are done. Blessings on you. I love the blog, Jon. Please keep posting! I graduated Faith Academy with Lu and found your blog through a link from hers. Hello Jon, How exciting, what a blessing to read all the stories we have heard over the years. You both know how much we love and appreciate you. Donna,s wedding photos are up on her facebook. Have a look. Keep on keeping on. How nice to hear from you. You are responsible for so much of our wild Africa experiences and we are so grateful to you. How could I forget flying you out of Epulu and around the Ituri Rain forest to Kisangani? That was great fun. I was impressed with how light yo guys pack! Nice photos. Don’t see any of the plane trip. Come and visit soon. Thanks my friend. I had no idea you were such a talented writer! Your words are beautiful. Just FYI, I subscribed to your blog and I get an email every time you update on any page. I love it! Jon, I am a friend of Damon and Miriam’s. Damon shared your blog with me, and I am glad he did. What a neat work God had put your hands to. I cant help but smile as I read your blog. I look forward to reading more as you add to your experiences here. I will keep you and your wife in my prayers. thanks for writing in. Appreciate you being a friend and helping out with D & M as they go through such a hard time. One can never have too many friends. How are you my girl! What a long time. And you are a mother now! How cool. You must tell me all about your life. That was a great holiday with your family at Nyanga. My first windsurfing and Bruce was very small and fun. So were you. Good times! We miss you. What’s Justin doing? Cheers for now. Jon: Finally a way to connect with you! How many years has it been since we last saw each other? It was good to see you in the photos and the videos that LuAnn shared with you held vigil with Yvonne in her last days. That was truly a blessing to walk with your family–my sort of “second family” as I was growing up–as you celebrated Yvonne’s life. Kris and I try to pray for you and Cher weekly as we remember three missionary families in particular. I can remember way back during your first year of college when you got bitten by the flying bug and here you are 30 years later still bitten and smitten! It is so good to read that Cher gets to spend time with you in the plane–that must be a real blessing for you two. Anyway, I’ll try to check in on your blog every once and awhile and read what is going on in your life. I’m so proud to call you my big brother! Love you Jon! It is too long since we’ve seen you. How are you fitting in there in Oz? You may remember me from Zimbabwe a few years back? I hope you are both well and happy. Your blog is an interesting and inspiring read and it is really great to see that you are still providing a much needed service in a part of the world that is too often forgotten. Send my best to the boys when you speak to them. yes I do remember you and your family. I will greet the boys for you. What are you doing now? Hey, there you go Bush Pilot. Looks like i can identify all those faces around you!! Great job Jon, keep it up while you are still at it. The LORD bless thee, and keep thee: The LORD make his face shine upon thee, and be gracious unto thee: The LORD lift up his countenance upon thee, and give thee peace. Amen! i am (Kay) mayen’s older sister & john is my husband. Steve just shared w/ us your blog. We just want you to know that we are blessed & encouraged w/ your love for the african people. It is an overflow of God’s love in your life! Carry on…. These pictures filled my heart with joy as I remembered flying over the African bush sitting alongside you in the cockpit of the Cessna. As I watched you touch the lives of hundreds of African children and see them smile as you did coin disappearing tricks for them I realized as I watched, that you were touching them with the loving hands of the Savior. You have made a difference in the lives of many, but also in the life of this friend of yours. I love you and I am so proud of your life work.